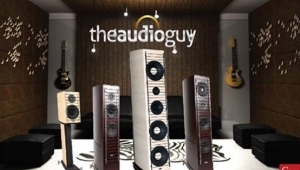 Dismayed to learn that my purportedly dying breed has already died off, I perked up when Gary posited his imposing Genesis 2jr line-source loudspeakers ($85,000/pair) as being far more listener-friendly than Wilson Audio loudspeakers. And that was but one of two audacious statements uttered at Elite Audio Systems from the CEOs of Genesis and, six days later, Linn. Genesis first: "Wilson targets the audiophile primarily listening alone, whereas I see my target market as the music lover who wants to listen together with friends and/or family in a family environment," Gary explained. "In order to be able to do that, the Genesis loudspeakers are designed to create a big, wide sweet spot that works equally well for urban music, rock, and symphonic as well as the usual jazz combo or female vocal soloist. I also strive to make my loudspeakers engaging and non-fatiguing, so that they do not draw attention to themselves." It was intriguing to test out the claim that the Genesis 2.2 Junior (G2jr) loudspeakers, with their line array of 1" circular-ribbon HF transducers, ribbon midrange, and integrated servo-controlled 12" woofers that are said to measure flat down to 20Hz, throw a wide soundstage that seems equally coherent and involving whether one was seated, standing, or moving about the room. Equally fascinating was the assertion that the furniture between speakers and listeners would not detract from the musical experience. What I can't swear on the Bible that removing the furniture would not have demonstrably improved the soundthe movers were observing the Sabbath on SaturdayI can affirm that what I did hear, no matter where I sat or stood, was very coherent. Joining the Genesis 2.2 Juniors were Genesis GRA1440 class-D monoblock amplifiers ($22,000/pair) and three kinds of Genesis cabling: Loudspeaker Interface cables ($4800/3m pair), Component Interface cables ($2000/1m pair), and Power Interface cables ($2200/1.5m). Supplying them with great music were the superb Spiral Groove SG1.1 turntable ($25,000) with Spiral Groove Centroid unipivot arm ($6000) and Ortofon Anna MC cartridge ($8,499), supported by Koh's Plexiglass amp support stands and Spiral Groove Strange Attractors ($500/set of 4); and the Burmester 077 preamp ($50,000) and Burmester 100 Phono preamp ($20,000). Ironically, for an analog front end whose cartridge was named for soprano Anna Netrebko, not a note was heard from her or any other opera singer. But we did hear the system's beautiful midrange warmth, virtually holographic image, impressively impactful bass, and naturally bright but non-fatiguing top on tracks and LPs that included Aaron Neville's gorgeous 1968 recording Everybody Play the Fool and Ella Fitzgerald singing Rodgers & Hart. Along the way, we encountered Al Grey and the Basie Wing, with trumpeter Grey using a toilet bowl plunger as a mute; the Swedish House Mafia; the Oscar Peterson Trio's Nigerian Marketplace from Montreux 1981, on an LP derived from an 18-bit/50kHz master that Gary says sounds infinitely better than the CD pressing; the band Rare Earth; and, toward the end of the demo, a bit of a recent vinyl mastering of the late Giuseppe Sinopoli conducting Richard Strauss's Death and Transfiguration. The speakers didn't sound anything like the Wilson Sophia 3s and Sashas I've had in my reference system, but that was the point. Every successive recording shed more light on the distinct sonic signature of a system that was less than optimally set up. For starters, in order to spare Woods' gorgeous flooring from damage, the speakers resounded on springy sliders rather than spikes. Anyone who has experimented with speaker supports knows what the lack of solid grounding does to deep bass. 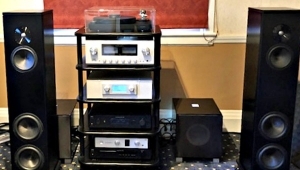 In addition, both handsome furniture rack and room set-up were intentionally non-audiophile (below), and chosen solely for their visual impact. Michael says he has yet to find a dedicated, effective audio rack that can truly double as high-end furniture. 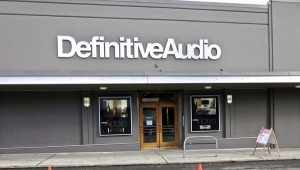 Décor carries equal import with sound in what surely must be the most stylish and sophisticated high performance audio/video retail outlet in the United States, if not beyond. Complete with a store-fronting coffee bar that subtly introduces patrons to quality sound and tempts them to venture into the vast, two-level showroom at the heart of Elite Audio Systems, the store's canny location in San Francisco's ever-expanding South of Market tech zone drew, even on a sunny Saturday afternoon, any number of inquisitive visitors in their 20s and 30s. For one of those visitors, Gary Koh demonstrated his considerably smaller Genesis 7.2c loudspeakers ($6000/pair) via music streamed by Bluetooth to what I believe was a Roksan Oxygene. When a potential audiophile-in-the-making claimed that he couldn't tell the difference between MP3 and CD quality, I asked some questions that revealed that he had no acoustic reference in which to ground his experience. I then queried if he had ever attended the San Francisco Symphony (whose home, Davies Symphony Hall, was maybe 10 blocks away). When the answer was no, we had a discussion that, I would like to think, planted seeds for future symphonic exploration. The demo offered more than its fair share of delights. Among them were a visit by Michael's wife, attorney Charmaine Yu, and the couple's not yet four month-old daughter, Natalie Grace Woods. And toward demo's end, Gary Koh had a surprise reunion with a first-grade classmate from Singapore, whom he had not seen in a good 50 years. 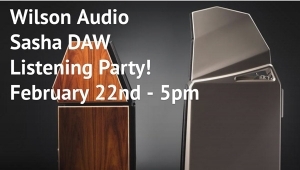 An evening with Linn: On February 28, Woods soldiered through the loss of his 94-year old father two days before to host a Linn Products 40th Anniversary celebration that included Linn CEO Gilad Tiefenbrun and Marketing Director Angus Lawrie. The men displayed a simple yet complete system whose two sources, a Linn Majik LP12 turntable ($4320), outfitted with Akurate MC cartridge, and a Linn Akurate DSM digital streamer/preamp ($8500), fed Linn Akubarik integrated active loudspeakers ($24,950/pair). These 5-way loudspeakers include two bass drive-units, housed in the cabinet's base in an Isobarik configuration. Linn CEO Gilad Tiefenbrun is the son of the Scottish company's founder. Gilad, company founder Ivor Tiefenbrun's son, began by explaining that his parents bought their hi-fi even before they had furniture. Early on, he discovered that very small changes to a turntable had a huge effect on the sound of a system. 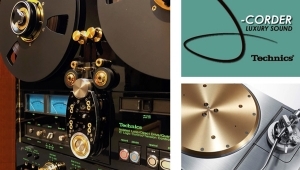 Hence, his father developed the Linn Sondek LP12 turntable, which remains in production to this day. As one audience member, who bought his in 1975, could attest, the turntable is completely upgradable piece by piece to current specifications. "Because a hi-fi system cannot make a recording sound better [than it can be], Linn exists to close the gap between the artist and the recording," he said. "We reduce the sources of loss, as well as noise and distortion." To demonstrate his point, Gilad focused on one of his favorite Linn recording artists, Emily Barker. Gilad first heard the Australian-born Barker in a teeny venue in Glasgow. When he introduced himself, Barker, who knew of Linn's high-resolution Studio Master recordings, asked for a record deal. Her forthrightness paid off. To illustrate the difference a good recording can make, Gilad played, first, a sonically compromised YouTube clip of Barker, then an ill-tuned track, "Nostalgia," from her early CD that is the theme song of the UK's popular Van Walker TV show; and, finally, Linn's sonically superior 24-bit Studio Master re-recording of the same song. Even though playback levels were differentthe 24-bit recording was significantly louder, to the point of overdriving the speakersone could tell that the differences in the silence between the notes, color saturation, and overall musicality were enormous. "The way to judge a system is to feel how it touches your heart," said Gilad before streaming another 24-bit track as an MP3 via Airplay, and showing that it still sounded better than Barker's original, poorly recorded CD. "It's an art to reproduce music that starts inside someone's head and heart," he said. Then came the good newsLinn will release, at a date not yet determined, a new application for iPad and computer that will handle classical music metadata much better than anything currently availableand the audacious statement that you've hopefully been waiting for. To quote from the head of a company whose SACD releases are recorded in PCM, then upsampled to DSD, "There is no need for DSD. You'll get better quality sound if you convert DSD files to PCM and play them back through our server . . . Sony is pushing DSD because it is in financial trouble, and has in DSD a proprietary format that can produce a constant revenue stream for the company. Sony is trying to own a piece of people's music libraries. I think DSD will fail. I urge people to keep their entire collection in PCM." The breather came in the form of a maximally entertaining presentation from the exceptionally witty Martin Daraz, Ambassador of Highland Park Single Malt Scotch. Noting that the plinth of the sold-out, very Limited Edition 40th Anniversary Sondek LP12 was made from the very same wood as the casks used to age Highland Park Scotch whisky, and that each turntable came with a bottle of the prized liquor, he instructed peasants such as myself in the proper way to sniff and savor Scotch. "We make the whisky by nose," he said. Since my own nose continues to grow at an alarming rate, I couldn't resist checking it out. With everyone quickly warmed up, the evening ended with a drawing for two of Linn's Barker CDs (also available as hi-res Studio Master downloads from Linn) and a Linn 40th Anniversary LP (above). 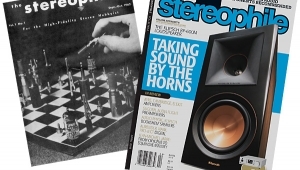 For the third time since I became a Contributing Editor to Stereophile, I won a raffle. After I noted that I had given my last raffle prize, a wonderful pair of Audioengine 2 self-powered loudspeakers, to my niece, and that my LP system was currently in storage pending our house sale and move, an attendee who claimed that his entire store of 4000 uninsured LPs had been burned in a fire on December 20 did everything short of going down on his knees to snooker me out of the LP. Hey, even critics have hearts. 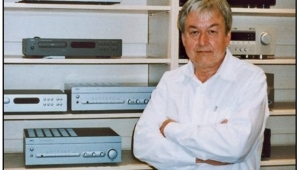 May the LP bring him as much joy as Linn's products have been bringing audiophiles for over 40 years. Emily Barker's album Dear River is available from Linn Records as a Studio Master download. Any file that gets sent via AirPlay first gets transcoded to 16/44 ALAC from iTunes or the sending iPhone and it's the the only format AirPlay supports. The recieving unit, whether it be an AirPort Express or 3rd party licensed AirPlay receiver/powered speaker etc, doesn't matter. Any file that gets sent via AirPlay first gets transcoded to 16/44 ALAC from iTunes or the sending iPhone and it's the the only format AirPlay supports. Of course. But I understood that the music started out as a 24-bit MP3 file. Transcoding to Apple Lossless doesn't undo the effects of the MP3 format. You raise a good point, however. 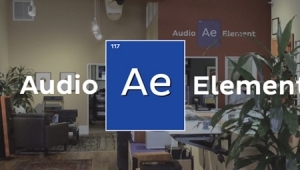 I'm a San Francisco resident and was not aware of Elite Audio. Glad to be informed of their existence. Good article! First, from Linn. Fiona Michael in the Linn Marketing Department writes, "Referring to a 24-bit tracks as an MP3 has confused the issue here. 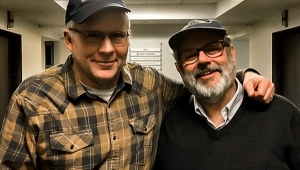 Gilad will have played the MP3 version of Nostaliga that Linn Records re-recorded, using Airplay. His point was to demonstrate that the MP3 still sounded better than Emily Barker's previous recording of Nostalgia. 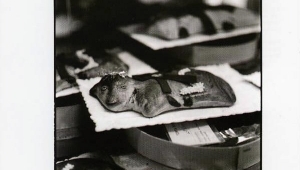 We also have this recording in the original, high quality 24-bit state but it is available in 16bit and MP3 as well." 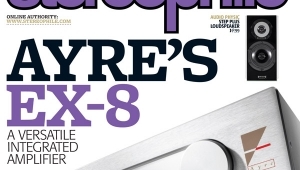 Secondly, DSD champion Andreas Koch of Playback Designs writes, "Not true: DSD is NOT a proprietary format and Sony does NOT get a dime when you record in DSD." This is seconded by Cookie Marenco, who states, "It's amazing to me the head of a well known company could imply that record labels pay Sony to use DSD for downloading music." "For the music industry to thrive we need a universal, open format that allows all music to be recorded in the highest quality and played back on any hifi equipment. DSD is an unnecessary and outdated format that only serves to confuse consumers and dilute the argument for high-resolution audio. As an industry, we must stick together, advocating initiatives that provide user convenience without compromising on quality. 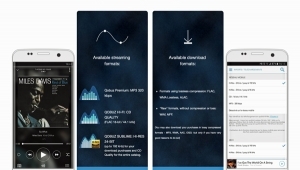 Modern hi-res PCM-based formats provide better sonic performance, and enjoy universal software and hardware support." All one need do is own a DAC that can play DSD. And there's plenty of them out there in most price ranges. Problem solved. In terms of convenience, playing back a DSD file is no less convenient than playing back a FLAC download using iTunes or a 24/192 file using Windows. The notion that we need to both limit the choices consumers have while dictating to recording artists the method of their recording art strikes me as ill considered. 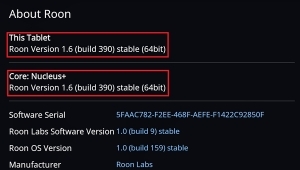 Another reason to buy another iteration of gear. It's always sumpin'. And most of these affordable DACs which will play DSD files do so only by converting them to PCM, anyway, I thought. Even if there is no degradation in such conversion, it tends to make moot any claims for DSD as superior...since it will wind up as PCM. I don't know this subject well, but I thought the true DSD output capable DACs were expensive and few in number. But to say they convert DSD to PCM is, I think, misleading. The most important aspect of listening to DSD files is the way they sound. In my experience, they do not sound like PCM even through relatively inexpensive DSD DACs. This is not saying that the file format itself is responsible for this perceived difference or even the DAC chip that performs the D to A conversion. Rather, I'd suggest it has to do with the entire chain from the original recording, the ADC, etc. My guess is another important difference between PCM and DCD are their differing filtering requirements. Wait what? I thought Sony invented DSD. Or was it SACD that Sony invented, using DSD? If Sony invented DSD, is it not normal they receive royalties from others using their technology? If not Sony, who invented DSD? Sony and Phillips invented the CD. Did they receive royalties/payments on every CD made for a certain number of years? Or was that an urban audio legend? Spend $100K+ so your friends can hear better? Once the trashing of Wilson came out I was nearly done, but then to go on and say that Sony needs DSD to survive is really foolish talk. I would not trade one of my SACDs for the same thing in 24/96 or 24/192. The fact that an attender could not hear the difference from an MP3 IS the problem with the market, not that I don't own some $80K speaker to help my friends hear more. Maybe what these folks need to do is go set up an audio booth at a hotel hosting a Medical Convention and give the attendees a respite and hand out some literature. An attendee who can't hear the difference between MP3 and lossless is not the problem. It's honesty assuming he/she is using high-bitrate modern MP3 encoders for the music. Nice place! Nada like that in Chicago. 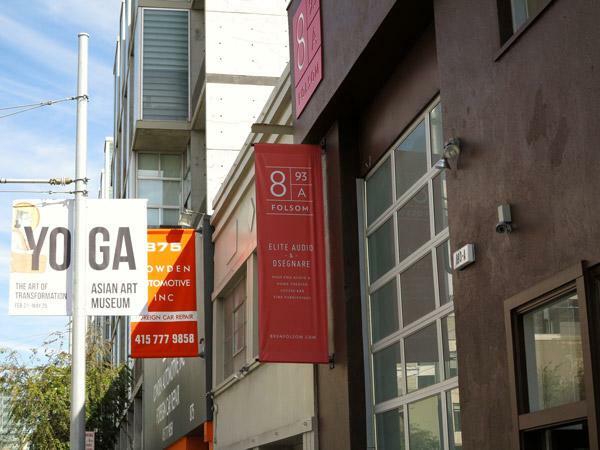 the six-figure income that would allow you to live in San Francisco. Thanks to the influx of Tech companies and socially-clueless young techies, San Francisco has become the US city with the greatest income disparity between rich and poor. Artists, activists, and outside-the-box thinkers are being displaced with alarming alacrity by young latté drinkers --- including, I suspect, some who frequent the coffee bar at Elite Audio Systems -- who either work downtown or jump on their private Google bus each morning and speed to their cubicles in the South Bay. Any number of my friends have lost their longtime homes to the tech boom. It's a major conundrum with no simple solution. Although I would not write off baby boomers, who are one of the most experimental and resourceful populations on the planet, and who are often at the point in their lives where they would much rather accumulate bits on a HD or some variant thereof than fill more shelves with platters, I would not question the importance of reaching out to young people of all stripes, including young techies. Doing so, however, does not obviate the truths in my original statement. Nobody's writing the Boomers off... But with the youngest Boomer around 50 years old now, 25% said to not have enough savings to retire, and health care costs likely to increase substantially, I do not believe growth is primarily going to be from this segment. Realize also the irony - you're writing about sound equipment that *requires* a person to have a 6-figure salary to even contemplate buying those $85K speakers. Why not blame your government for allowing housing inflation to go to such extremes but not recognizing it and punishing savers with its policies? As far as I can tell, this has nothing to do with young techies whether socially clued in or not. San Fran / Silicon Valley has always been a hot-bed of innovation. Nothing wrong with innovation and the young folks with new ideas that come with it. As someone who lives north - in Vancouver, Canada. The issue of housing costs and unaffordability is in my scope as well. The issue is clearly multifaceted and goes way beyond generational dynamics or growth in the tech industry. I understand the feelings and intent behind what you and Spike Lee say. I must admit though, that you have written about it much more eloquently and constructively. People tend to hear, and especially listen when spoken or written in such a manner. 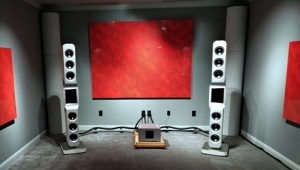 I wish no ill will towards Gary Koh and his products as for all I know (as I wasn't there to hear them) he is a genius and his speakers underpriced and incredible. However the very idea that whole house imaging is something he invented is absurd. As for Linn prefering the sonic signature of certain recordings I think I am going to now officially lose my lunch. ALL important recordings should be savored including those with mistaken mic placement, awkward listening positions, dried up flat sonic signatures and all the rest. Just as the flat glaze on what at first appears to be a cheaply made vase is later revealed to be a Newcomb College masterpiece ALL important recordings should sound out their signatures and be celebrated for the glory of having distinct personality. I treasure the "blown microphone" that was used inadvertantly in one of Thelonius Monk's famous "live" performances as I spent a couple days wondering if I had blown a woofer spider. Once I discerned that the blown sound was due to a misjudgement on the part of the microphone choice the recording took on an even more special meaning... I will NEVER be able to go bacdk in time and fix that "mistake." Nor should I. What a privelege to hear what happend on that day. The mistake on the mic will forever remind me of the imperfect capture of great moments. And that I will never have a better version of that masterpiece flaws and all. God how I HATE the Linn ideal of a "recording which makes our junk sound GOOD." Who in the name of all that is holy even cares? I want a few flaws just to remind me that we are after all--human. Oh and except for the blown mic the rest of the recording was incredible. Just like real life. 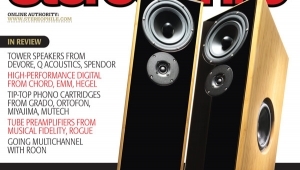 Spam or virus on Stereophile? It does not happen on other sites. What is this? 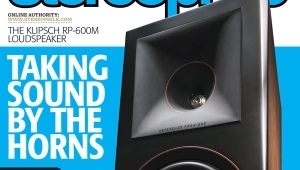 Re: Spam or virus on Stereophile? For the past 2-3 days, this pop up window opens on my screen, while I am reading Stereophile...It does not happen on other sites. What is this? I haven't experienced this pop-up on any of the three computers I use to access the site, using Firefox, IE, and Chrome. It is nothing to do with us, though at at the weekend, there was a Google ad on our site that threw up an Adobe pop-up if you moused over it. I tried to replicate that one but the Google ad didn't appear again. Google ads on our site will follow your browsing history. And if you have installed one of those "speed up my PC" apps, they also can launch pop-up ads. Sorry I can't be of more help. But I have deleted the URL you posted. In future, please post off-topic queries to our forum or email me directly. It will get answered just as quickly. Thanks for looking into this John. I use Safari, on a Mac. It hasn't happened in the last 24 hours. So, maybe it was a passing "bug". It only happened when I moved my cursor to the right of the page (without clicking). The funny thing, is that there are no ads for what was on the pop up window. I also was never able to replicate the problem. I also scanned my computer for viruses and have none. In all the years I have been using Macs, this is the first time something like this has happened. The first system described costs $226,000. Just sayin.